Colored iPhone Alarm Docks . You may have ditched your alarm clock for an iPhone, but that doesn’t mean that you need to sacrifice style for portability. 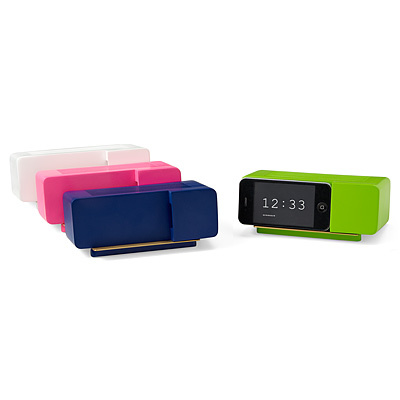 Available in four striking colors, Jonas Damon’s handsome acrylic (blue, green or pink) or painted wood (white) alarm dock cradles your iPhone and conceals USB wires to transform it into a Midcentury Modern timepiece, complete with faux speaker grooves and a brass accent plate. Download Damon’s exclusively designed clock app, or use any of your favorite timepiece apps from the iTunes store. Mini Wooden Speaker . 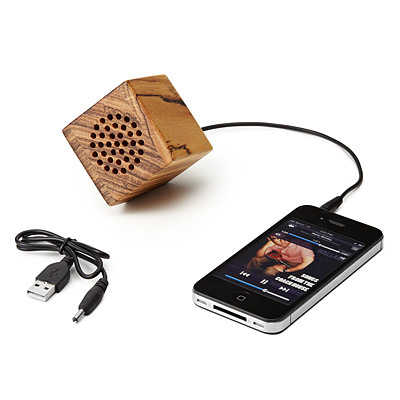 Just like mighty oaks sprouting from little acorns, this little wooden speaker puts out some mighty big sound. 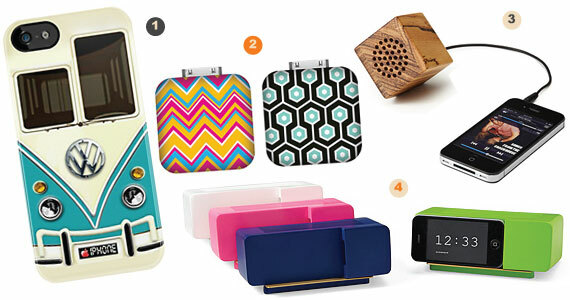 Its palm-sized casing is made from beautifully grained, natural zebrawood and bamboo. Inside is concealed a volume-boosting amplifier, powered by the kind of powerful, rechargeable lithium battery more commonly used in cell phones. The included audio cord fits any standard headphone jack, making this the perfect portable sound system for your mp3 player, cell phone, laptop or tablet. Portable iPhone Charger . iPhone, iPad, or iPod feeling a little drained? Give your go-to music maker or reader a boost on the go with this stylish portable battery that’ll revive a charge-less Apple device for up to 3 additional hours. 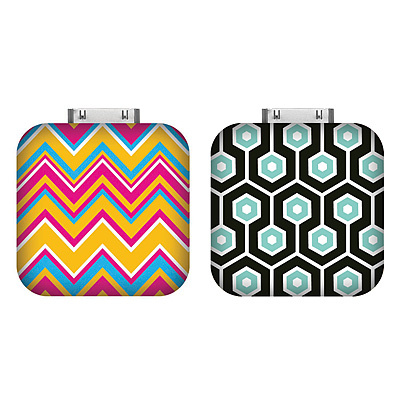 Simply plug the charger into an outlet about 3 hours before you depart to power-up the powerful lithium battery concealed in the attractive chevron casing. The charger’s slim, palm-sized profile allows it to slip seamlessly into your bag or purse, so even when an outlet is far from sight—like at the beach, the campsite, or in the car—you can still give your device the jump start necessary to let the good times (and tunes) roll. SkateBack iPhone Art . 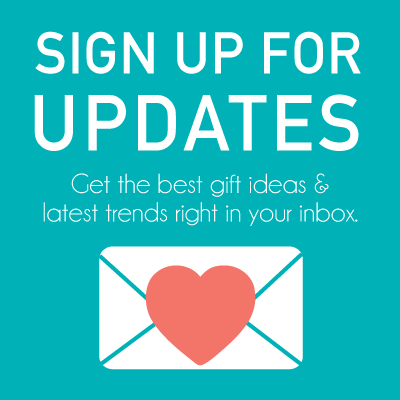 Deck your smart phone with a street-ready new look. Designer Lindsay Jo Holmes is not only an avid skateboarder, but also an admirer of the beauty in skateboards themselves. With her team, she gathers wood scraps from a skateboard factory, presses them into plywood, and cuts thin cross sections that expose and highlight the vibrant array of colors inside. This sheet is then precision cut to the phone’s dimensions, hand finished, and given an adhesive to attach it securely to the back of your iPhone. The durable new deck will protect against accidental grinds, while giving your phone a makeover that will earn you some mad props. This adorable VW iPhone case is also available in other colors including bright red. It is sold for different models of iPhone as well including iPhone 5, iPhone 4, iPhone 4S, iPhone 3GS, and iPod Touch.